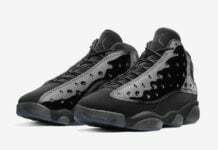 Adding to the Air Jordan Tinker releases, Jordan Brand will release the Air Jordan 13 ’Tinker’ inspired by Tinker Hatfield’s original sketch of the Air Jordan 13. 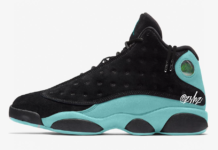 This variation of the Air Jordan 13 looks a lot different compared to the retail version. As you can see it features a mid-foot strap, mesh construction and the Jumpman branding. However you can see see the pods alongside the midsole and what appears to be dimples across the base. 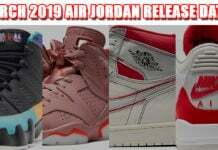 At the time of writing, release information for the Air Jordan 13 Tinker has yet to be announced, however they are expected to release later this year. Once we have more information and images leak, we will make sure to update you. For now visit the comments section with your thoughts. 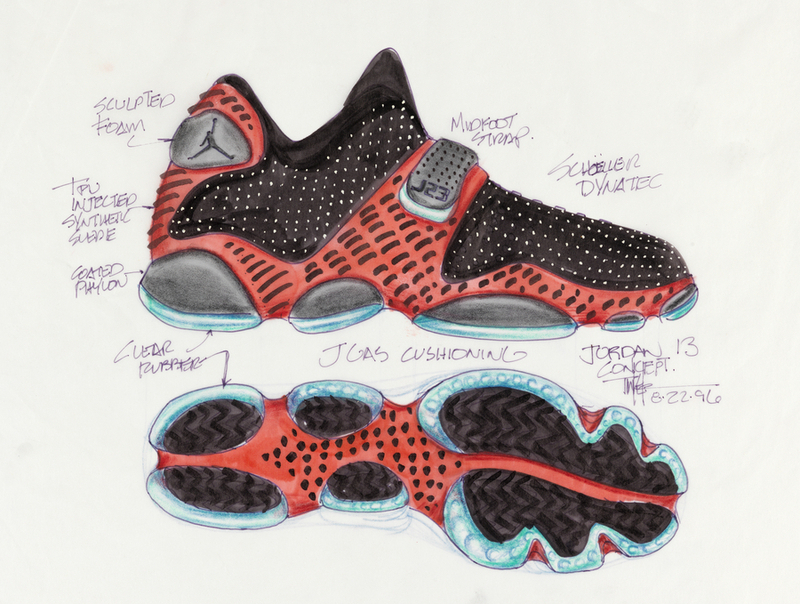 Update: We have confirmed that the sketch will not be the Air Jordan 13 Tinker but Jordan Brand will be calling them the Jordan Black Cat. 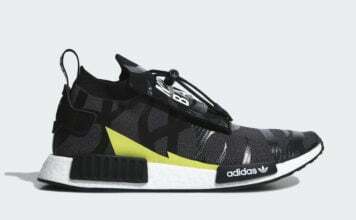 Several colorways will release during the Fall/Holiday 2018 season.